Books, Crystals, Jewelry & More! Julie is a gifted psychic, who specializes in relationships, finances, spiritual transformation and business-career matters. 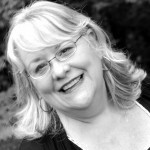 She has been a professional intuitive for over 30 years and although her primary tool is the Voyager Tarot she draws from years of experience working with symbols, astrology, angels, colors, psycho-therapeutic and other healing techniques. Her clients are from around the globe and Julie has been featured nationally and internationally on radio and television. Julie’s readings are accurate, motivating, and energizing! Every Other First Saturday, Every Fourth Thursdays & Second Fridays. $40 for 30 minute session, cash. Drop in or call (828) 687-1193 for an appointment!